Some beauty habits are easier to stick with than others. You’ll never catch me going to bed with my makeup on or skip the serum step of my skincare routine, but I’ll be the first to admit that I’m not the most consistent when it comes to hydrating the rest of my body. Every single time a lovely new body lotion lands on my desk, I tell myself that I’ll do better this time around and stick with it long after it’s been tested and reviewed. 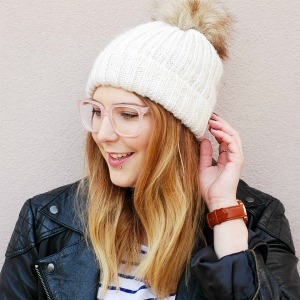 I’m hilariously optimistic when it comes to my beauty routine. I’m just too impatient for body lotions. I feel like my free time is better spent doing something (anything) else. Waiting for a thick cream to dry? Ain’t nobody got time for that. The Body Shop’s latest launch aims to solve this very real problem. When the sun is shining, no one wants to wait for their body lotion to dry before getting dressed and heading out for a lovely spot of brunch and a stroll. 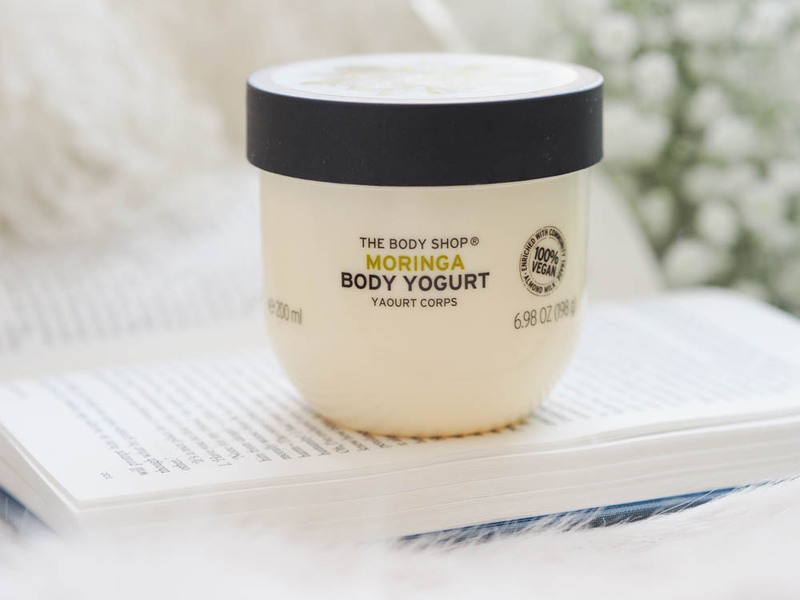 The Body Shop’s new Body Yogurts* ($16) are lightweight and formulated to dry in 15 seconds. It’s officially time to break up with greasy lotions and thick body butters. If you could bottle up the feeling of jumping into a pool on a hot day, you’d get The Body Shop’s Body Yogurts. As far as body care ranges go, this is fairly close to perfection. The gel-cream formula is gorgeous — light as air, cooling, fast-absorbing, and infused with dreamy scents. It melts right into the skin without much rubbing, and a little goes a long way. The gel-cream is completely weightless and the result is beautifully silky. 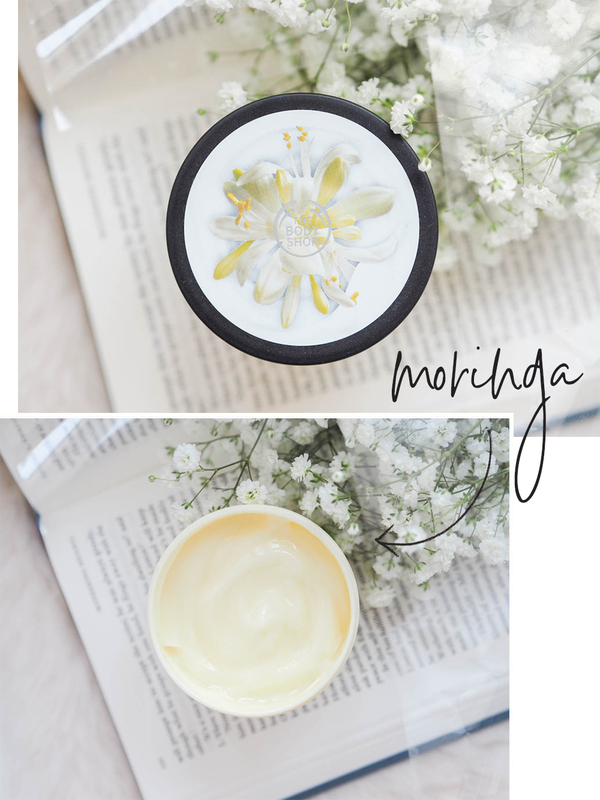 I put The Body Shop’s 15 seconds claim to the test and found that the Body Yogurts absorbed completely in about 30 seconds on dry skin and just a touch longer on damp skin. The cream can be applied on damp (not wet) skin, and it can also be kept in the fridge for an even more refreshing treat. I’d recommend trying it out straight out of the shower since it’s even easier apply and it also seals the moisture in. It’s not the most hydrating lotion or cream I’ve tried, and it certainly doesn’t deliver the promised 48 hours of moisture, but it makes my skin lovely and silky smooth. Moringa Body Yogurt. A fresh floral scent. The formula is enriched with moringa extract and organic almond milk. Almond Milk Body Yogurt. A sophisticated scent, the least sweet of the bunch. It’s probably my favourite. The formula is enriched with organic almond milk – of course! British Rose Body Yogurt. I love this floral scent in other products from The Body Shop, and it works just as well in the Body Yogurts. The formula is enriched with rose extract and organic almond milk. Mango Body Yogurt. The mango fragrance is sweet and juicy. The formula is enriched with mango juice and organic almond milk. Strawberry Body Yogurt. If you like strawberry playdough, this will be your jam. I’m personally not a fan of the fake strawberry scent. The formula is enriched with strawberry juice and organic almond milk. Banana Body Yogurt (Limited Edition). The banana fragrance is fun and summery, and it smells like a marshmallow banana. I definitely want to get my hands on this limited edition Body Yogurt before it’s gone. The formula is enriched with organic banana puree and organic almond milk. Are the Body Yogurts Suitable for Sensitive Skin? 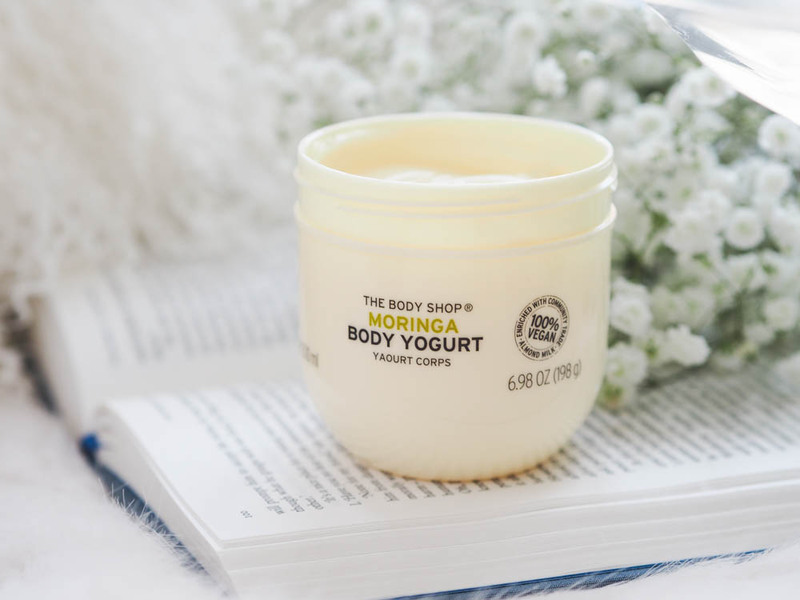 I’ve tried the Moringa Body Yogurt and patch-tested every other scent, and not a rash in sight. The Body Yogurts have strong scents, so I would generally suggest avoiding any areas where you’re prone to allergic reactions. I stick to my arms and legs because I know my chest would instantly break out in a painful rash if I even thought about slathering this on my torso. 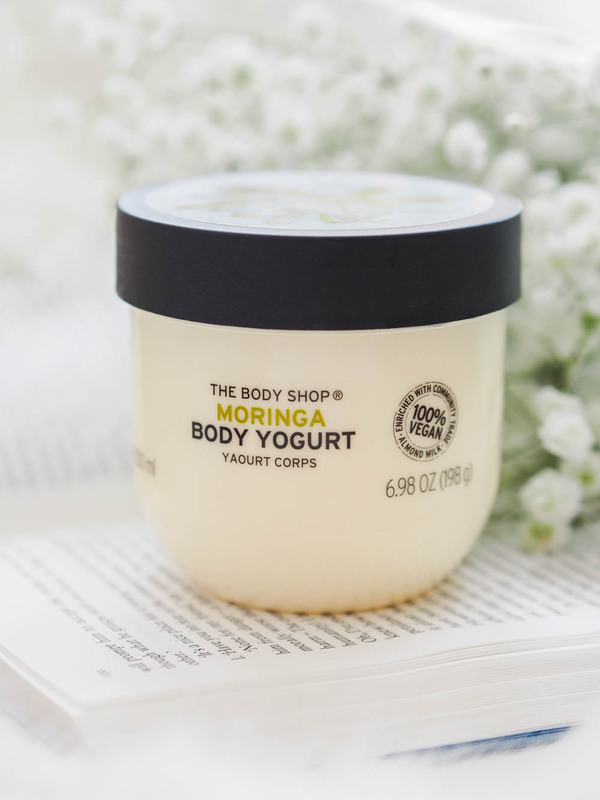 The Body Shop’s Body Yogurts are lightweight, fast-absorbing, cooling, and available in five delightful scents, plus a fun limited edition one. The gel-cream melts into the skin and leaves it feeling silky smooth. 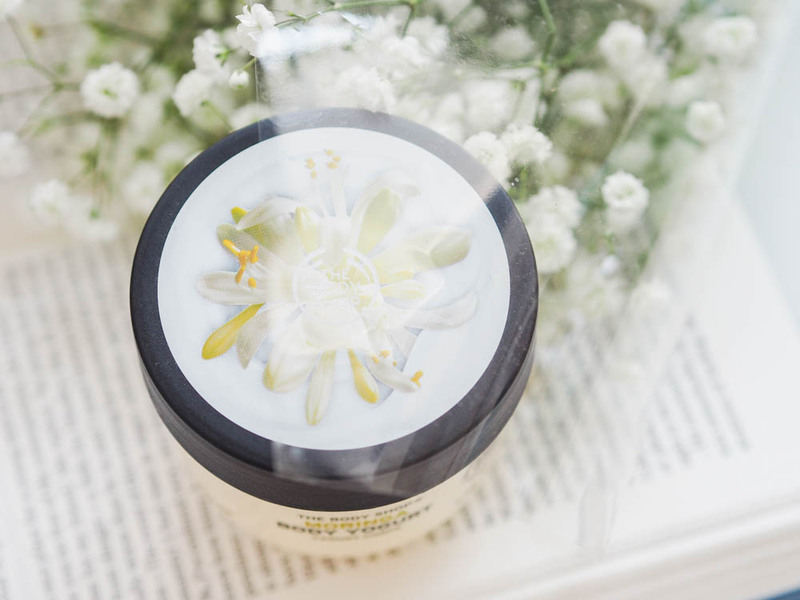 It’s the perfect body lotion for summer! It absorbs in less than thirty seconds, so I’m hopeful that I might stick with it this time.